It’s My Month: Birthday Rewards & Freebies! One month out of the year, the mail stack gets larger, and the e-mails become more frequent. For me, that month is October! 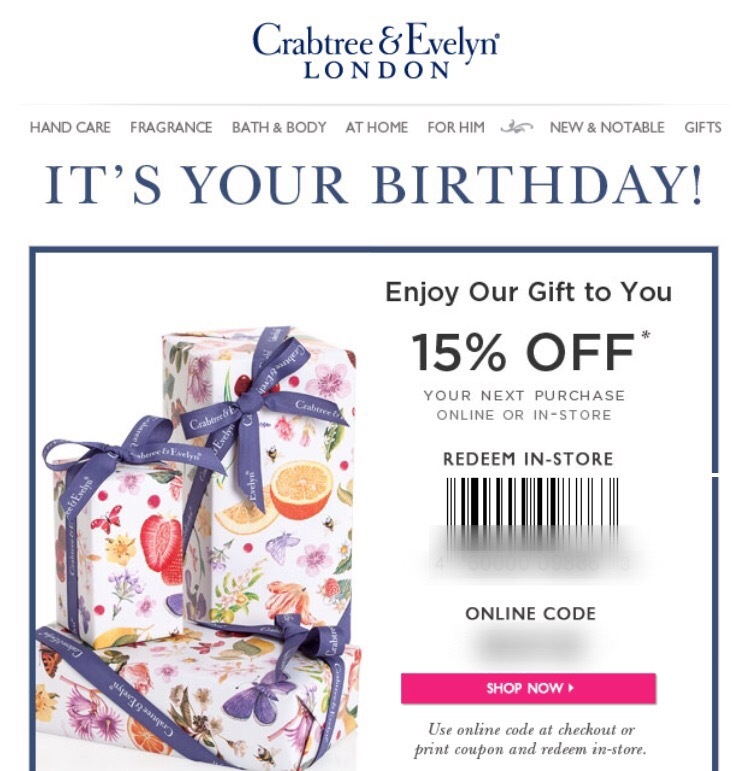 Even though my birthday is still a few weeks away, I’ve already begun to receive extra coupons and promotions. Rewards Programs and Rewards Cards are exactly as they sound, rewarding. 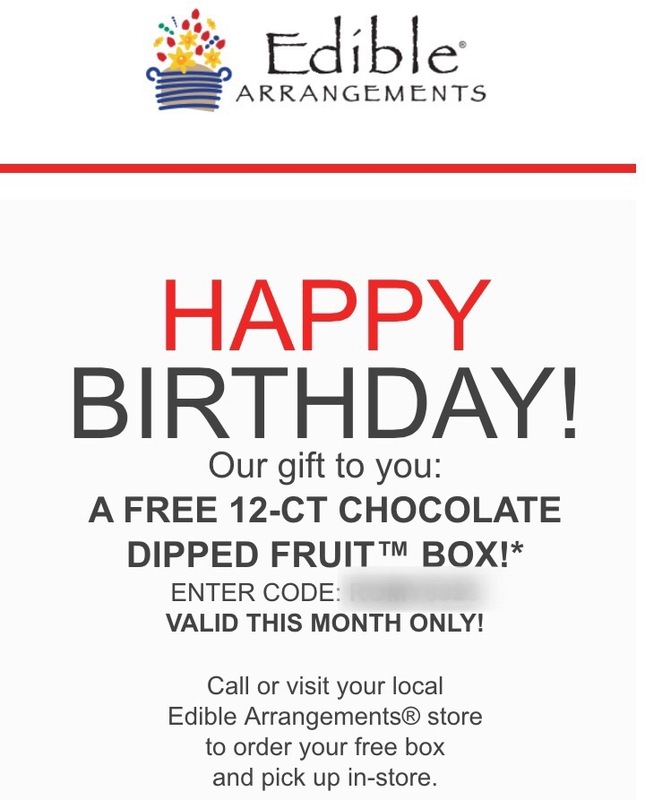 At some point over the past year, I signed up for the Edible Arrangements e-mail list. Today, they sent me a coupon code for a free 12-piece box of chocolate dipped fruit any day in October. It also mentions I can pick it up in store, so there is no shipping cost. Yum. Edible Arrangements Free Dipped Fruit! Victoria Secret sent me $10 off of any purchase, on my Angels card any day in October. They have a huge variety of lipsticks and lip-glosses for exactly $10, so I’ll most likely grab one of those for free (Spending exactly $10 is the trick to getting out of swiping your card). I typically NEVER use the credit card, but I average 8 “free underwear” coupons per year, and definitely take advantage of those. It doesn’t matter if you don’t use the card, in fact, I think they send me more coupons just to get me in the store (but they can’t trick me). Ann Taylor sent me a card with $15 off of any purchase, no minimum any day in October. I can easily grab something on the clearance rack for just around $15. Just like VS, I literally haven’t used the Ann Taylor credit card in months, yet I still get the coupons! My Sephora lot, under $8! 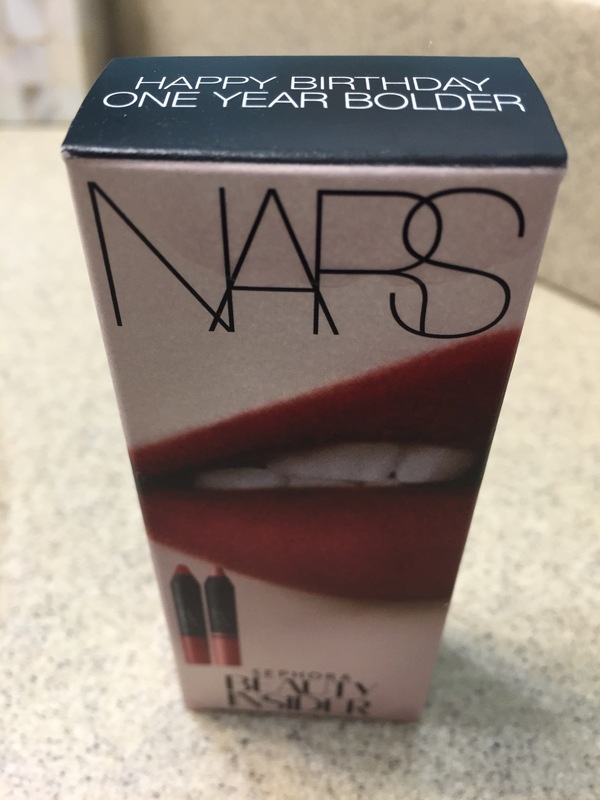 Free NARS lip pencils from Sephora! I’m signed up for the Ulta rewards program too (you can sign up in store or online for free). 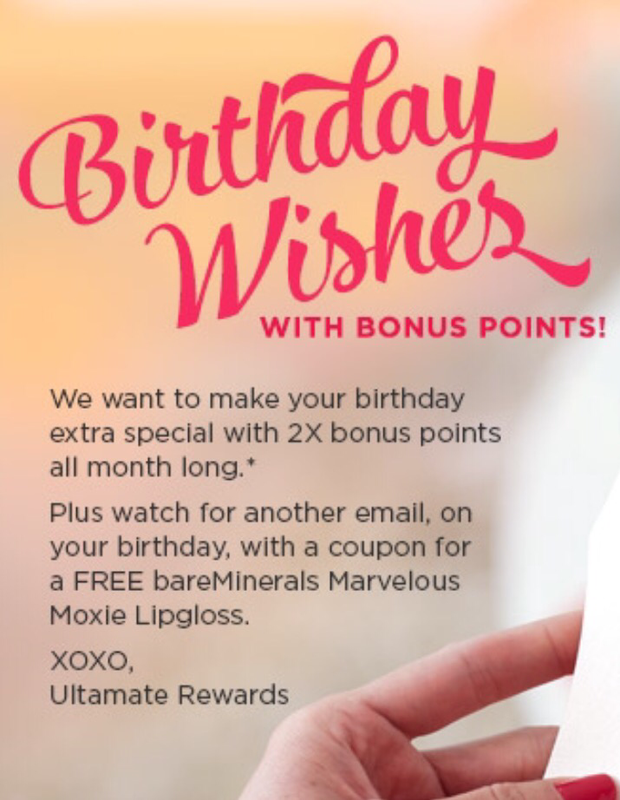 Today, they sent me an e-mail saying that I’ll get double points on any purchase in October, plus a note to look out for another e-mail for a free bareMinderals Marvelous Moxie Lip-gloss. 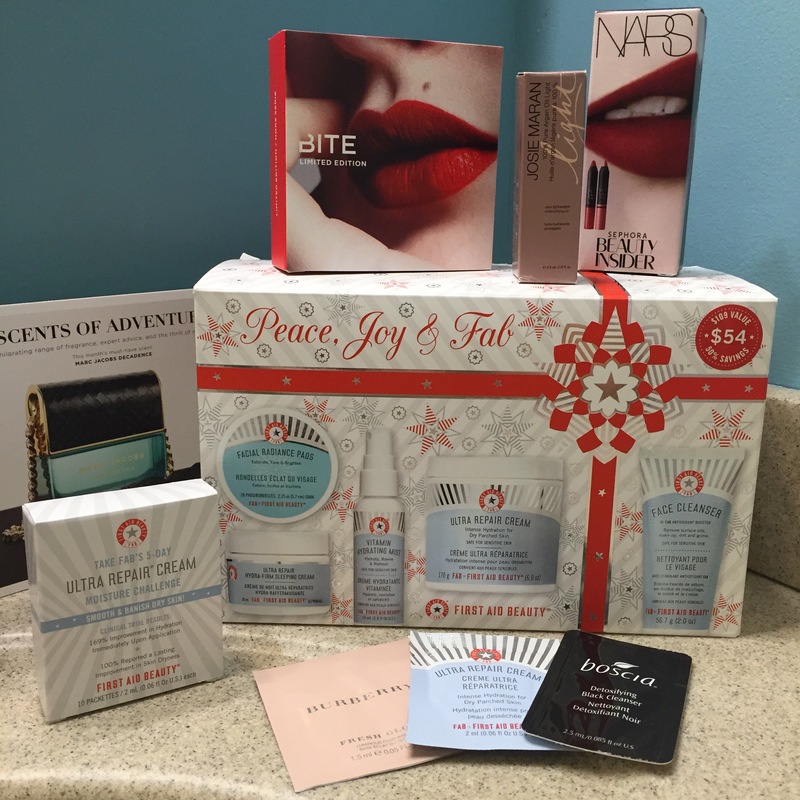 Free Lip-gloss at Ulta on its way! Bloomingdales sent me a 25% off birthday coupon, plus if I spend $100 any time in October I’ll receive a $25 gift card back for a future purchase. Vera Bradley sent me a 25% off “entire purchase” coupon, which can be used at any full-price store, any outlet store, or online. White House Black Market sent a coupon code for Free Shipping – they could do better than that, it’s a little stingy. I wonder what will be in my mailbox the next few days! Check back as I add more Birthday Deals and add photos of what I receive throughout the month! ‘Till next time, get what you can for free! ← Overspending on our Furry Friends? I love free! I’m signed up for Ulta and I’m definitely going to sign up for Edible Arrangements after reading this! Thanks for sharing!